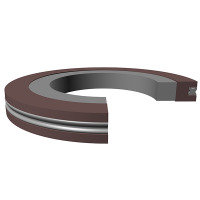 AQ profile is a bi-directional piston seal for use in medium to heavy-duty hydraulic applications. With its stable, rectangular design, it incorporates a rubber four-lobed seal on the PTFE cap to insure drift-free performance. AQ There are 77 products.